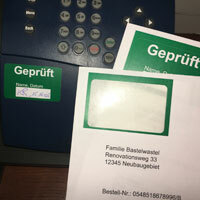 You have other applications of integrated labels? Share your suggestions with us E-Mail. 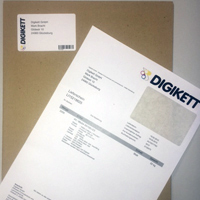 The DIN A4 paper with integrated label on the upper right and / or the lower left is ideal as invoice paper with address label. It is suitable for dispatch processing via many onlineshop sys. 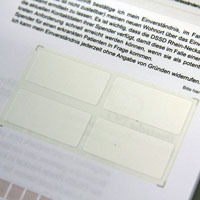 With applied labels - sandwich labels - the labels and the carrier material are applied to the cover sheet. 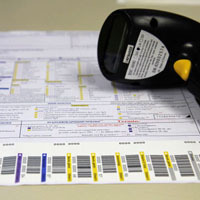 Labels are widely used as test and organizational stickers. The label must be highly adhesive and easy to handle. 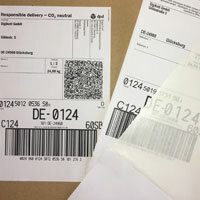 The form is printed with the shipping label in one flow. Label and delivery note is on the same form. Void labels are not distinguishable from normal labels. 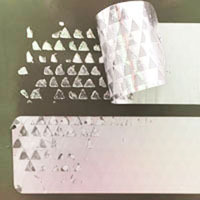 The labels reveal their strength when removing. For medical purposes labels must meet certain criteria and qualities, since no other industry is more concerned with error-free labeling. For more information on integrated labels please visit ourOverview.